Successful content marketing often requires the persistent creation of great content on a regular basis. This content could span from a simple blog post to an extremely complex interactive graphic. 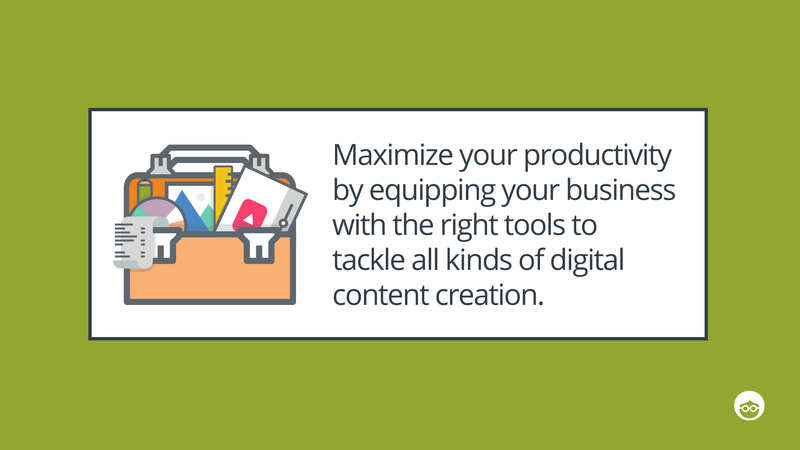 As with everything else, you can maximize your productivity by equipping your business with the right tools to tackle all kinds of digital content creation. But in a constantly evolving digital landscape, tools come and go along with fads in various content types and formats. So long, word clouds! Everyone loves a GIF (actually pronounced JIF). These days, places like Facebook, Twitter, and even Slack have integrated GIFs into their platforms. Because they not only let people express themselves easily and without having to put feelings into words, but they also make brands more relatable. We created this for a post we shared on how Gillette influenced the purchase decision of a young man via their excellent video marketing. Quizzes are still hot., But it is important to also include an added layer of purpose so they drive conversions. This is where players like BuzzFeed and Refinery29 shine, and for those interested in making their content a little more engaging, it can easily be done with tools like SurveyMonkey. Yes, most commonly associated with its survey services, SurveyMonkey has branched out to include a variety of new content types, including quizzes. Customizable to include your logo, theme, and whatever variation of questions formats you’d like to combine, drafting a simple or robust quiz has never been easier. They even include a bank of popularly used questions to help spark inspiration. Access stats on scores, rankings, percentiles, and completion rates to ensure ROI on this content creation tool. Not everyone has the luxury of hiring a graphic designer. And often, even if they do have one or two dedicated staff members, the constant necessity for fresh content as an inbound tactic day in and day out can still create barriers to production. Thankfully, tools like Snappa.io allow regular old marketers like you and me to create high-quality visual content without having to rely on design. With a bevy of pre-designed templates in a variety of formats, start cranking out fresh content for your blog, social media, newsletter, paid media initiatives, and more. All your in-house design team has to do is make sure that everything matches brand guidelines. Not a spelling error, Wideo has been simplifying video animation since 2013. As an incredibly effective marketing tactic, many businesses have pined over having the ability to produce video content on a regular basis. 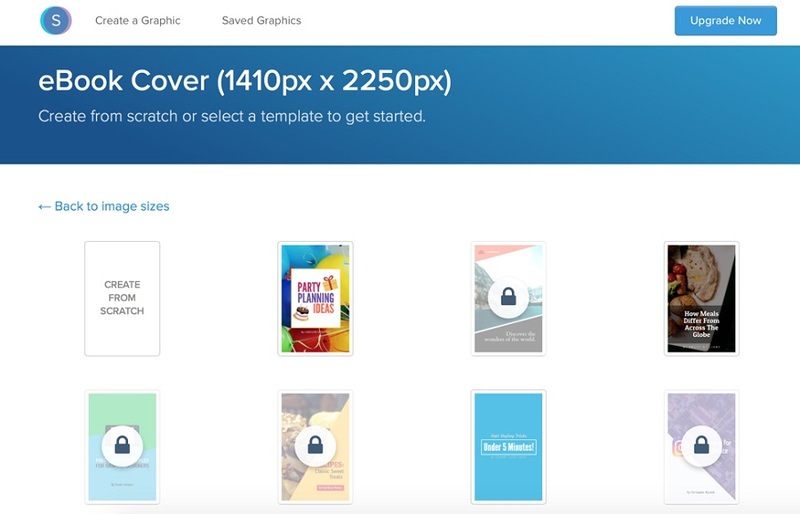 With ready made templates and its easy drag and drop interface, upload images and original creative to turn weeks or months of dedicated resources into a wheelhouse of daily marketing, promo, and explainer videos. This video, which we used Wideo to create, has received upwards of 27K views on YouTube. Far from dead, the almighty infographic lives on to help content marketers — new and old — turn complex stories into aesthetically beautiful and comprehensible experiences. 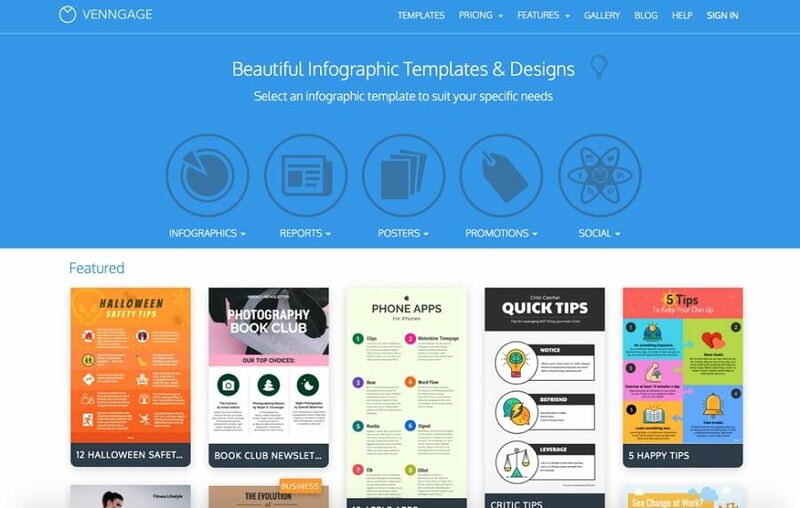 With a sea of templates based on a variety of different layouts and constantly updated categories to suit your specific needs (think statistical, geographic, timeline, and charts), Venngage takes the cake in this department, leaving your graphic designer with more time free of grey hair. When we created our original list of awesome digital content creation tools back in 2014, Meme Generator was poised for greatness, but little did we know it would remain a reigning champ. It remains one ofthe simplest and most popular tools a marketer could employ. It is safe to say that sometimes the fewer frills, the better. Word to the wise, though, the meme game has stepped up since we last wrote of it — so be prepared to do your research and hit the Reddit forums to ensure memes are properly vetted and up to snuff. Otherwise, you might get eaten by the internet sharks! Years ago, gamification was at the peak of inflated expectations on what Gartner would consider it’s 7 Step Hype Cycle. Nearly impossible to implement unless serious developer work went into creating an experience, today, companies like Gamefroot allow common laymen to develop, test, and publish games. A handful of templates make it easy to test the waters. A marketplace of free assets will have your audiences engaged, having fun, and even educated about important information. Used for recording, transcribing, and video captioning, NoNotes.com is a triple threat in among audiences thirsty for podcast, interviews, and video content. The only problem is, most marketers don’t have the equipment to properly conduct a podcast fast enough… or hands to jot down notes during comprehensive interviews… or the time to transcribe all of the above for the purpose of providing transcripts or even captioning videos. NoNotes.com is free to try and cheap to add to your fulltime toolkit, allowing you to do all of the above with ease. Checklist posts continue to perform really well across industries. They not only offer utility, they also force us to think about things we may not have previously considered. Checklist aims to solve the problem that many single content creators face — creating a blog post without the help of a design team or developers. Create a checklist for any occasion, upload images, add a description, tag it, and then embed it right on your site or within a post. Forget about numbered bullet points. We’re not cavemen. So, you’ve been left to your own devices but you don’t exactly consider yourself the most aesthetically inclined. Select their handy paintbrush, select up to five colors, and get ready for a host of visual ideas and concepts to help bolster your creativity. Okay, so they’ve got you colored. Turning quotes into graphics for social media is more common than not these days, but if you don’t have anything to contribute to the conversation, how can you reap the benefits? Unless you’ve got talented in-house writers who can shell out some serious inspiration, best to stick to the classics. And now, they are easier to find than ever. While fairly rudimentary looking, PhraseGenerator let’s you mine academic, financial, political, historical, and even headlines, to surface the perfect motivational sentences for your audience. Take your images, graphics, and videos and make them interactive. Tagging important elements with rich links not only drive deeper engagement, but also meaningful conversions. 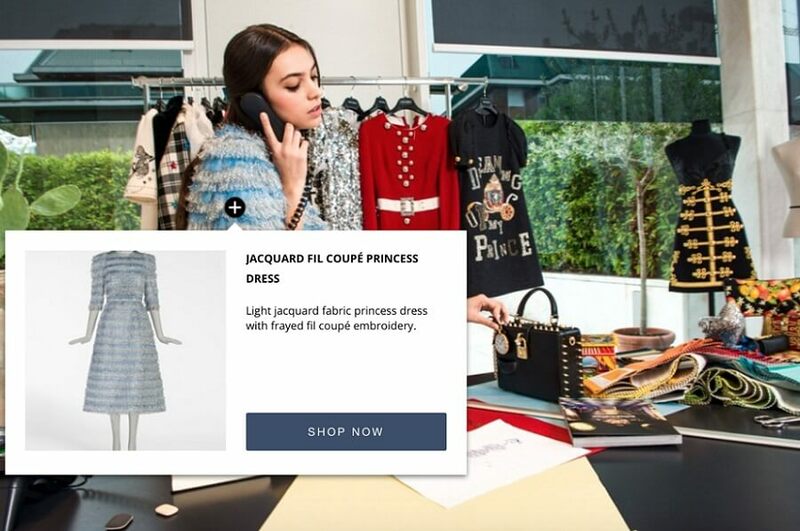 Use ThingLink to enhance the shopping experience, capture audience attention, and deconstruct ideas. 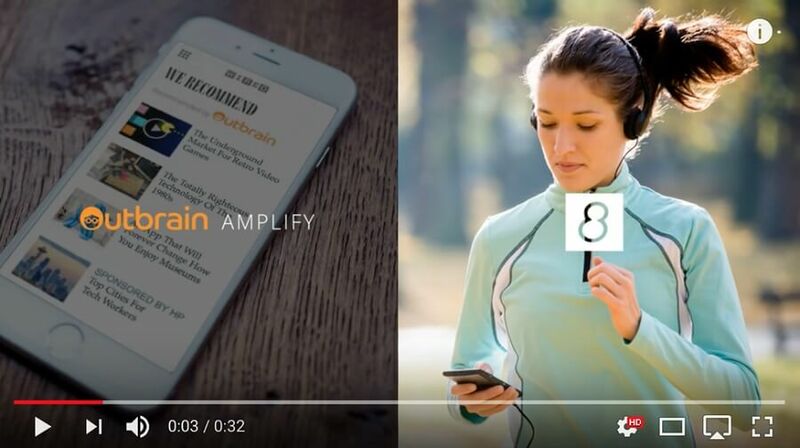 It’s having the power of a Pinterest shopping button right on your owned, native content. We hope you find these tools useful, but I’m sure there are much more out there that your fellow readers would appreciate learning about. What are we missing? Let us know! Once you get your content created, don’t forget, you can reach engaged audiences using our content discovery platform. 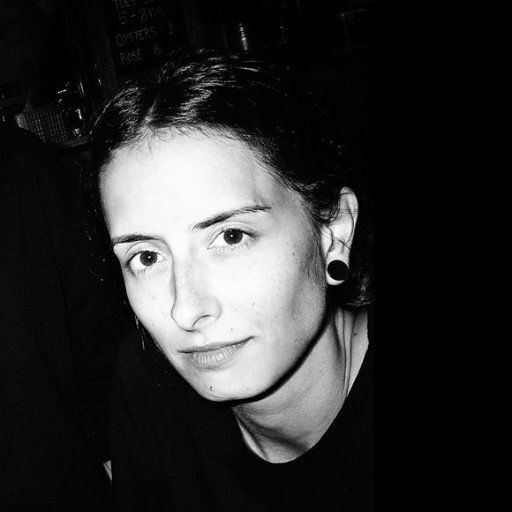 Shana Pilewski is a Senior Content Marketer at Dynamic Yield, a global leader in omnichannel personalization. There, her experience and passion for content strategy, development and creation allow her to help marketers level up their own skills. These tools you have suggested seems to be of great use. do you have anything to improve content for the blog? how to make it more engaging for the readers? A number of these visual tools can be used for creating highly unique experiences with your content. Images are a great way to increase engagement on your blog posts. The more media rich, the better. You can also use sites like giphy to give your content a little more personality. Additionally, consider embedding things like: videos, presentations, podcasts, polls, and quizzes into your blog posts. Just make sure you are adding value to your audience with each element. Hope that gives you a new perspective on some of the tools listed above! 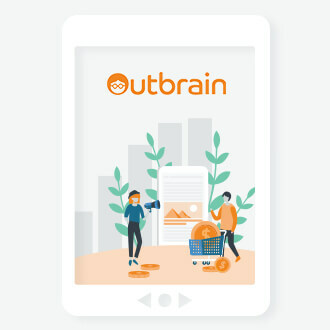 If you need any further insights, feel free to email me at spilewski@outbrain.com! I am super new to the online marketing world and stumbled across this website.. love the content. Thank you for this article. Very informative. This is fantastic! Thank you for putting this together, Shana. The meme generator gave me some ideas for my classroom I’m really excited about. From time to time I have students find memes that express how they are feeling about a topic we are discussing. It’s a fun way to get a pulse on how my students are feeling about the topic. But with this meme generator, they can create there own! I love it.